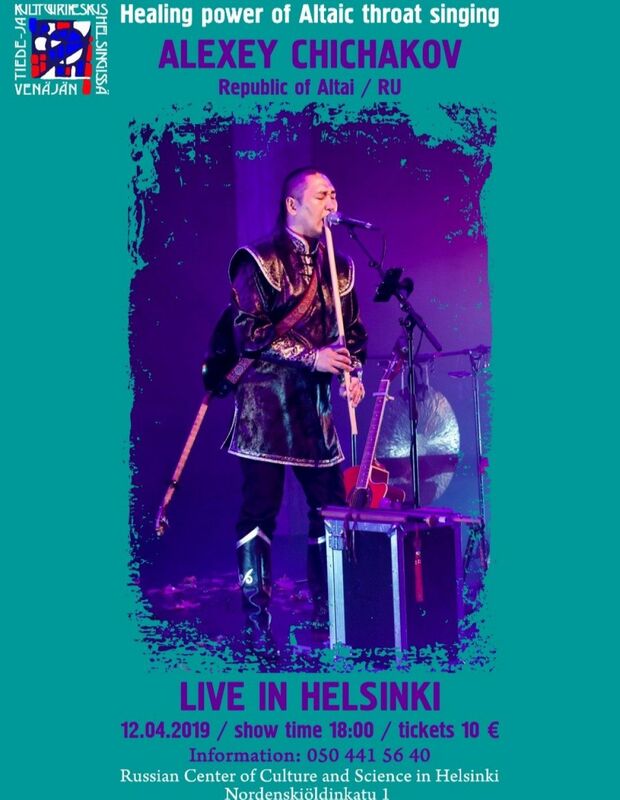 We are happy to announce that Alexey Chichakov will have his second concert in Helsinki on 12th of April, 2019 in Venäjän Tiede ja Kulttuurikeskus (Russian Center of Culture and Science, Nordenskiöldinkatu 1, 00250 Helsinki). The concert starts at 6pm, door open at 5:30 pm. 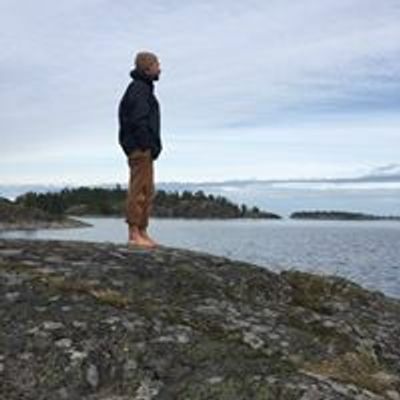 ALEXEY CHICHAKOV (Russia, Republic of Altai) is Altaic throat singer, root Instrument artist, live looping performer, sound therapist, musician and composer, songwriter, arranger, founder of the Altai group BELUKHA JAM. These words would express the way of his music: voice of nature, healing music, tradition and modernity. He was born and lives in the most beautiful places of the Altai Republic, where the locals have preserved a unique culture and originality, in the Uimon Valley, which is located at the foot of the sacred mountain Belukha. The first is the traditional Altai throat singing and playing on national instruments (komus, shoor, topshuur). 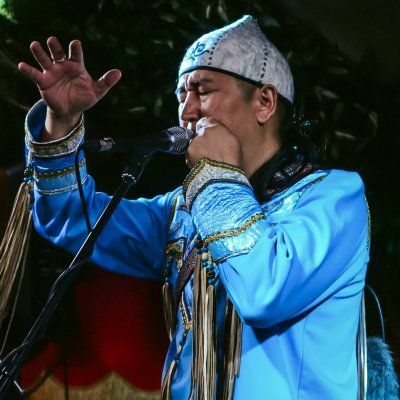 The second is the fusion of tradition with modernity, throat singing to the accompaniment of guitar, live looping, musical palette filled the sounds of okarin, the wind flutes and the rhythms of the jew's-harp... The sound of tradition enhanced by modernity. The performance is accompanied by a multimedia video showing the most beautiful views of the nature of Altai! The concert starts at 6:00 pm, door open at 5:30 pm. PLEASE, PURCHASE TICKETS THROUGH ALLEVENTS.IN (ABOVE). TICKETS WILL BE AVAILABLE AT THE VENUE AS WELL. THE PRICE is 10 EUR (kids under 12 years - 5 EUR). NOTE THAT ONLY CASH IS POSSIBLE AT THE VENUE.